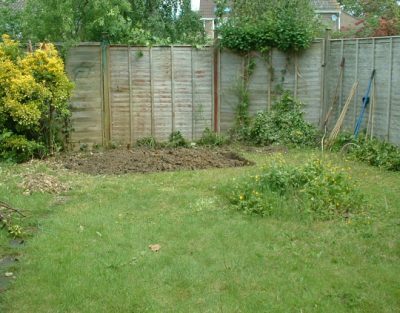 I have become the proud owner of my own vegetable allotment, not only that but it is at the yard where I keep my horse. I am good friends with the owners and in passing comment one day I had said about allotments and growing vegetables then, before I knew it, I was told that I was allowed one there and that they would help. For the last few days I have worked hard with marking out the area where I will plant vegetables, digging weeds, clearing the ground of stones and then finally today I had it rotavated by a friend. Whilst I am sat here typing this out the yard owner is busy fencing the area for me so that are chickens can't destroy the hard work that has been put in so far preparing the vegetable beds. Tomorrow I shall be adding manure, which there is plenty of and free and then its sorting the flower beds out the front of it. For someone who is only 36 and thought that this sort of thing was for the older person, I was wrong. I can't wait for it to be finished and up and running. My first crop is potatoes too, which I can't wait to spring up and flower. My First Vegetable Patch Too! I'm 36 and growing my own veg this year for the first time. I'm really enjoying preparing everything. My two daughters, aged two and seven are enjoying getting their hands dirty too. My husband does all the hard work, bless him! I would definitely put in some runner beans, they are so easy to grow and don't take up too much space either and look really quite pretty when in flower. Get some broad beans in now. They will give you a very big crop in June, or even at the end of May, depending on where you live. If you pick them young, you can eat them pods on and are delicious. There are many things that you can grow from seed, (under glass) and transplant later when it warms up. I don't know how big your family is, but try beetroot, turnips, swede, parsnips and loads of different lettuce. Hope that you love your garden and get loads from it. I had my first vegetable garden last year and apart from a couple of hiccups I had fantastic veg to eat. It is a great feeling when your first vegetable crop starts to grow through, send some more pics when your garden is growing. But seriously it always gives me a thrill when I hear how folk realise just how satisfying and enjoyable it is when you grow your own vegetables. ... As one of our commentators has posted previously - grow girl!